Our Bulls Head U16 Boys and Stratstone BMW U16 Girls both had a successful start to their EH Junior Club Championships Tier 1 2018/19 campaign. The U16 boys travelled to Leek HC and their commitment to weekly club training sessions was reflected with a resounding 9-1 win. 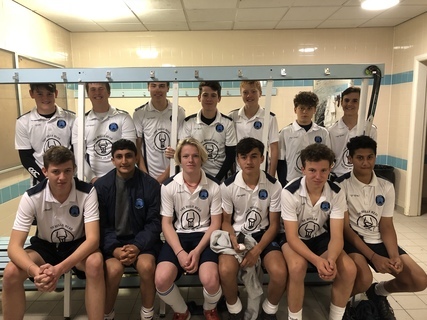 Owen was top scorer with 5 goals and Yuvraj, making his debut for Repton HC, was impressive in goal with some commendable saves stifling any chances taken by Leek HC. The U16 girls hosted Bromsgrove HC and again showed the strength of the squad with a 10-0 win despite some last minute injuries and non availability. There were hat-tricks for Scout and Ann as well as goals for Izzy, Claudia, Hannah and Charlotte and it looks set to be a promising season ahead for this talented squad! Our U14s both hosted visiting teams for friendly fixtures this weekend. 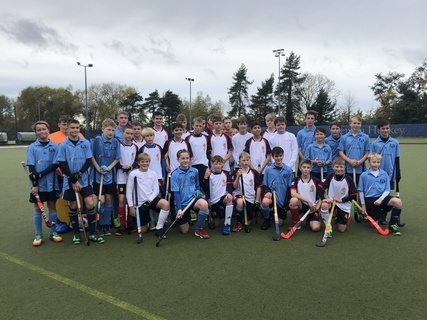 The Frederick Cooper U14 boys played a training match vs the UK Lions on Sunday afternoon (Win 7-2) and this proved to be a worthwhile game for them ahead of their first EH Championship fixture against Beeston HC on 4th November. 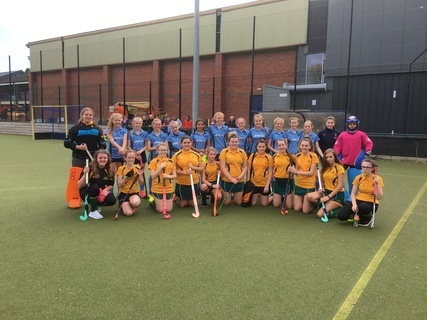 An SCC U13 girls team was selected on Saturday to play visiting Ysgol Dyffryn Aman School from Wales and their coach was very complementary about our girls commenting "It was a privilege for our girls to play against such high class opposition and an eye opener to both our staff and pupils." Thanks to all those who helped out this weekend especially team managers Jessica, Geoff, Jamie, Sam and Mandy!